I’d never even heard of these guys until they played SNL, which is really rare. Most of the time SNL gets bands/artists to play that are already well established. Phoenix was a pleasant surprise. They are very Vampire Weekend-ish to me. 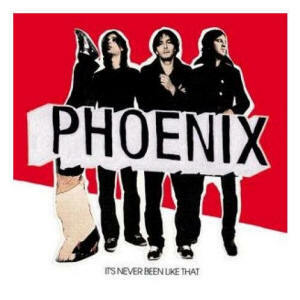 Their first single or whatever is called Lisztomania, and it’s great. This movie looks so awesome, I just had to share. I love Sam Rockwell, and I love that I have no idea what’s going on here. I almost wish they wouldn’t have even put him finding “himself” in the trailer, so it’d be a super crazy surprise. But then I probably wouldn’t be as excited to see the movie. Yeah. I know this is old, but it is so funny to me. There are lots more versions, of Creed and others. 1: Don’t go there, girlfriend. Mmhmm. 1: Don’t mess with me. I’m one crazy mo-fo. I had to pop a cop cause he wasn’t giving me my props in Oaktown. No? I’ve heard that somewhere. I did just watch this and thought it was awesome. 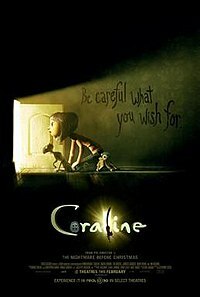 As you know, Sheena and I saw Coraline last week. And as you also know, I really liked the soundtrack. I read somewhere that They Might Be Giants were asked to write the soundtrack. When they (whoever) decided to change things and make the movie a lot darker, the songs by TMBG were scraped. All except this one. And I can’t stop listening to it. It’s only about 30 seconds, but it so catchy and awesome and I just love it. I would love to hear the other songs TMBG wrote for the film. All that being said, all of the music that’s actually used in the film is amazing as well. Just not so happy. Check out the movie, and the soundtrack. 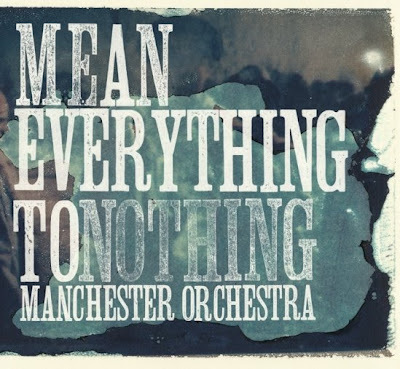 And did you buy the new Manchester Orchestra yet? Now go buy the cd. 1: You’re not a stalker, or anything, right? 2: I’m not a stalker. You’re the one that talked to me, remember? 1: That is the oldest trick in the stalker book. 2: Really? There’s a stalker book? Great, I gotta read that one. In my opinion, Arrested Development is the funniest show ever. Ever. And he’s brought back a lot of the AD cast (Bateman, Arnett, Winkler). I don’t know how this show could not be funny. I really enjoyed this movie. The stop-motion animation was really great. The whole look of the film was just beautiful. The story, for the most part, was really interesting and imaginative. Sheena and I talked about it afterwards, and both agreed that there were a lot of pieces left unanswered. I know that sounds kind of silly when talking about an animated movie, but this movie has a lot going on, and is actually pretty deep. There were just a lot of things that happened that made us wonder why they happened, or what they meant. That being said, all-in-all the movie was a lot of fun and I would love to see it in 3D. Alas, the dollar theater hasn’t quite made it to that technology yet. Someday, dollar theater, someday. Oh, and the soundtrack was super great.